In an apparent attempt at self-censorship, the Walt Disney Company has asked Google to remove a copy of its own takedown notices from search results. While the targeted page contains links to Lucasfilm's "Star Wars: The Force Awakens," the request is rather pointless as the URL was not indexed by Google to begin with. Pretty much every major copyright holder regularly reports infringing links to Google, hoping to decrease the visibility of pirated files. Over the past several years, the search engine has had to remove more than two billion links and most of these requests have been neatly archived in the Lumen database. Walt Disney Company is no stranger to these takedown efforts. The company has sent over 20 million takedown requests to the search engine, covering a wide variety of content. All of these notices are listed in Google’s transparency report, and copies are available at Lumen. 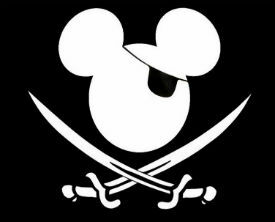 While this is nothing new, we recently noticed that Disney doesn’t stop at reporting direct links to traditional “pirate” sites. In fact, they recently targeted one of their own takedown notices in the Lumen database, which was sent on behalf of its daughter company Lucasfilm. This is not the first time that a company has engaged in this type of meta-censorship, it appears. However, it’s all the more relevant this week after a German court decided that Google can be ordered to stop linking to its own takedown notices. While that suggests that Disney was right to ask for its own link to be removed, the reality is a bit more complex. When it was still known as ChillingEffects, the Lumen Database instructed Google not to index any takedown notices. And indeed, searching for copies of takedown notices yields no result. This means that Disney asked Google to remove a search result that doesn’t exist. Perhaps things are different in a galaxy far, far away, but Disney’s takedown notice is not only self-censorship but also entirely pointless. Disney might be better off focusing on content that Google has actually indexed, instead of going after imaginary threats. Or put in the words of Gold Five: “Stay on Target,” Disney..